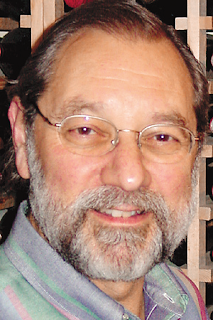 His most recent article in the Santa Rosa Press-Democrat had me applauding, because in it he voiced something in print that I have long suspected in private: that where a wine comes from, the grape it's made with, and the price they're charging for it influences those blasted "objective" scores. Making wine in Temecula? Good luck getting a score above 85 from the mags. Making wine from Chasselas or Colombard? It's south of 86 for you, too. He mentioned two specific domestic wines that I've had made with each grape (the Berthoud Chasselas Dore and the McNab Ridge Colombard) that are excellent and I would concur with that assessment. Even better? Even in my expensive coastal grocery store where everything comes by covered wagon up and down CA-1 they're less than $15. But if your wine is inexpensive like these bottles it's even worse--that can't be any good, people conclude, or they'd sell it for more. Go read Dan's article and keep your eye out for his writing. He's out there pitching for good, everyday wine that doesn't cost a fortune and is high quality and interesting. And in this time of economic downturns, market panics, and penny-pinching it's nice to have someone quietly pointing out that you don't have to mortgage your house to drink great wine. The wine industry is riddled with snobbery and always have been. It was years before the great Australian and South American wines were taken seriously. For wine reviewers the temptation to concentrate on a wines image rather than taste sometimes proves too great. The actual tase has allways come a poor second to the brand perception for wine reviwers, who seem scared at voicing an opinion that goes against the recived wisdom of the market. Dan is always right on the money. No lemming he.